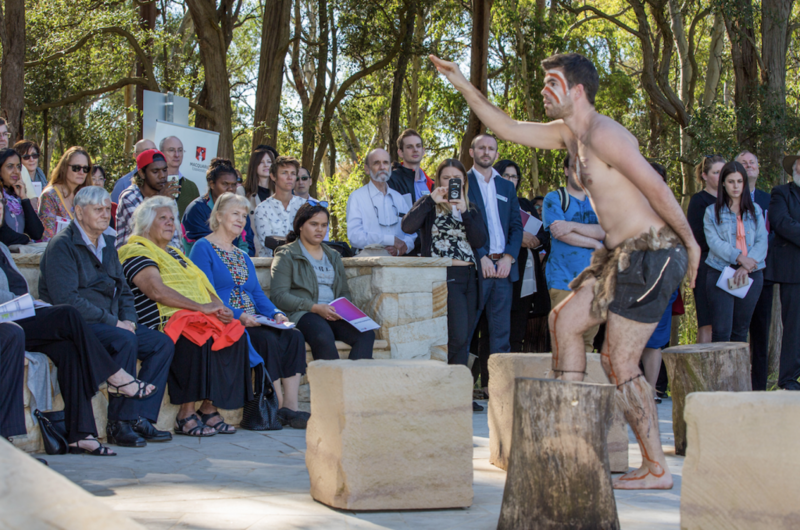 Ahead of National Reconciliation Week, Macquarie University has today launched its first Reconciliation Action Plan (RAP), developed in partnership with Reconciliation Australia. nurturing future Aboriginal and Torres Strait Islander leaders. “This year’s theme for National Reconciliation Week is ‘let’s take the next steps’ – a fitting year to launch our inaugural Reconciliation Action Plan,” said Dr Holt. The RAP complements the University’s Indigenous Strategy 2016-2025, released last year. “Our Indigenous Strategy 2016-2025 outlines our internal commitments and, by working alongside Reconciliation Australia, the RAP extends the Strategy by providing a level of external accountability,” said Dr Holt. “The RAP goes beyond our students and staff – it acknowledges the whole university’s responsibility to contribute to the broader community and society as a whole. “I believe a RAP is extremely valuable for both the university and our communities, but the Plan needs to be driven by everyone, not just Aboriginal and Torres Strait Islander people. “While we have the highest numbers of Aboriginal and Torres Strait Islander students, graduates and employees in Macquarie University’s history, the RAP is a true University-wide commitment to progressing Aboriginal and Torres Strait Islander access and participation. “This RAP is a clear commitment by the University to drive reconciliation and create opportunities, in collaboration with Aboriginal people. As part of National Reconciliation Week, Macquarie University will host its inaugural Reconciliation Cocktail and Fundraiser, to showcase achievements towards Indigenous education, raise money for scholarships for Aboriginal and Torres Strait Islander students, and celebrate contributions to reconciliation through the 2017 Macquarie University Reconciliation Award. Read the full Reconciliation Action Plan here. Photo credit: Jo Stephan, Macquarie University.